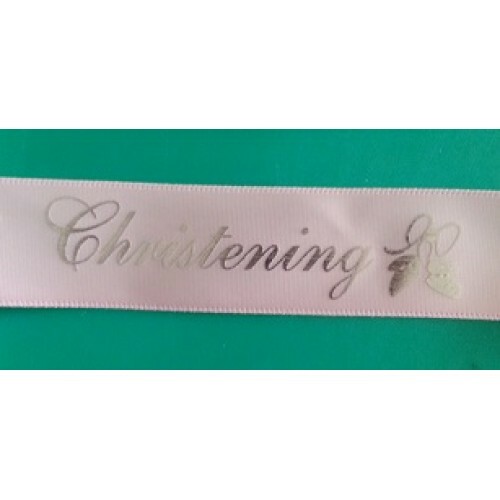 Printed ribbon 1" thickness with Christening written on it. 25mm wide. €1.15 per meter. Available in pink or blue. A resin kneeling girl, approx. 7cm tall. Perfect for communion and confirmation celebration cak..